It’s almost impossible to pump a fluid without using some aspect of velocity. Whether it is the speed of the flow in the pipe or the conversion of velocity to pressure, fluids don’t move without it. The most common form of pump technology, the centrifugal pump, makes use of velocity in a completely different way than our PITBULL industrial pump; the following is a brief explanation. 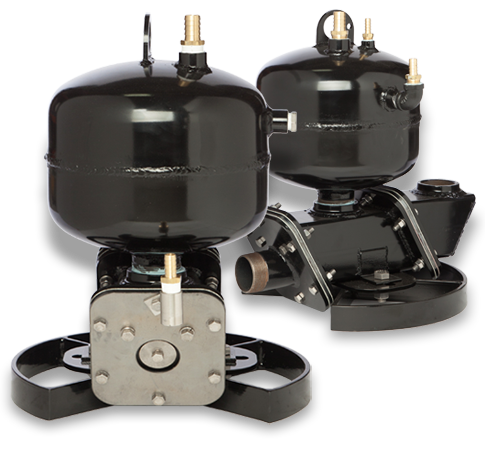 At PITBULL Pumps, we shamelessly promote the low internal velocities of our industrial pumps. For sense of scale, think of comparing a person running versus driving a car on the freeway. A typical discharge velocity out of a PITBULL pump is 7 ft./sec which is about 5.5 miles per hour — a pretty good jogging speed and fast enough to keep solids suspended in a pipe. Now, consider a centrifugal pump with a 1 ft. diameter impeller spinning at 1760 rpm. The outer edge of the impeller is going around at about 92 ft./sec, or 63 miles per hour — the running versus freeway driving analogy in action. The centrifugal pump converts most that internal velocity as the fluid leaves the impeller into pressure, and what is left over is the speed of the fluid leaving the pump (note that both types of pumps want to generate similar pipe line velocities to land in the practical zone for friction losses and solids suspension). If that spinning impeller speed theoretically produced an equal velocity of the fluid itself and that was converted with 100% efficiency to pressure, that 63 mph could become 132 vertical feet of water pressure, enough to push water up about 13 stories vertically. With the realities of practical efficiencies, etc., the actual number comes out lower, but we are in the ballpark. A PITBULL industrial pump uses compressed air to generate its fluid pressure. That 132 ft. straight up requires about a 57 psi setting on the control panel discharge regulator. With most plant air supplies in the 80-100 psi range, that setting is easily achieved (with more potential for 18-23 stories straight up). If the fluid is relatively clean, then there is not much of a reason to “run” when you could “drive”. However, put some rocks, sand, or whatever into that fluid, and now freeway speeds are quite destructive — like following behind an uncovered gravel truck. Hard objects hitting a car’s hood or windshield at 60+ mph present a serious problem. Now, the idea of “cheating” (at PITBULL, we define that as using compressed air, created from clean air, versus spinning an impeller in the debris as the method to pressurize the fluid) seems like a very practical approach. 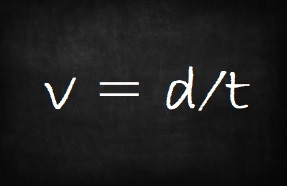 Dramatically less velocity delivers dramatically less destruction. In the next blog we will take a look at some other implications of the velocity differences between the two pumping technologies and the complications that arise.